"The staff was very nice and helpful!" "Dr Guirguis's group of physicians are amazing. I would highly recommend them." "They are amazing. Comforting, honest. Feels like family." "Loved working with all of them! Great group of people." For over 30 years, the expert OB/GYNs at The Guirguis Obstetrics & Gynecology Group have provided comprehensive health care catered to women of all ages. Serving the greater Brooklyn and Staten Island area, the practice was originally founded at the Park Slope location by Dr. Fayez Guirguis in 1987. Today, the practice has branched out into Bay Ridge and Staten Island as well. The mission of the practice is to provide state-of-the-art health care to women during both wellness and illness. The compassionate professional providers include OB/GYN physicians, nurse practitioners, and certified nurse midwives. The staff has one primary goal: to educate and empower women to be active participants in making their own health care decisions. At the core, The Guirguis Obstetrics & Gynecology Group offers premier gynecologic services for women throughout all stages of life, as well as personalized obstetric care throughout pregnancy, labor and delivery, and the postpartum period. Providers at the practice also perform both inpatient and ambulatory surgeries, including minimally-invasive, robotic hysterectomy and myomectomy. No matter their gynecologic concerns, patients are in good hands at the practice if they’re looking for personalized OB/GYN health care in the Brooklyn or Staten Island areas. The procedure takes 25 minutes, is minimally painful, and requires no downtime. As you’re planning for a pregnancy or preparing for childbirth, a midwife can offer the support and guidance you need to enjoy every aspect of your experience. Learn more about the benefits of midwifery for both you and your baby. Although it’s not a cause of infertility, endometriosis can affect your chances of conceiving a child. Learn more about endometriosis and your options for achieving a successful, healthy pregnancy. 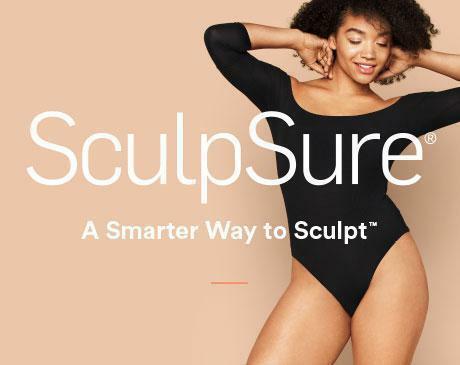 To get the body of your dreams by summer, you can take advantage of SculpSure® treatments this winter. Learn more about the benefits of this noninvasive, nonsurgical body contouring system that can give you the body you want. "Dr. Swenson is like no other! She is both compassionate and comprehensive in the care of her patients. I highly recommend her." "Great experience with Dr Swenson. Had surgery done yesterday, and post-op is painless! Highly recommended:)"
"Love his personality, bedside manner and his ability to make me feel important. I'm not treated like a number. I'm treated like a person. Love you Dr. Guirguis!!" "Dr. Guirguis and his team were fantastic when I delivered my daughter. I couldn't have asked for better care. I would recommend him to all my friends and family. ".